An unusual and fine pair antique cloisonné Chinese barrel shaped lidded jars believed to date from around 1900. These finely made brass bodied jars each are decorated with two panels containing vases with flowering blooms set against a turquoise ground and within a black border decorated with flowers and butterflies. 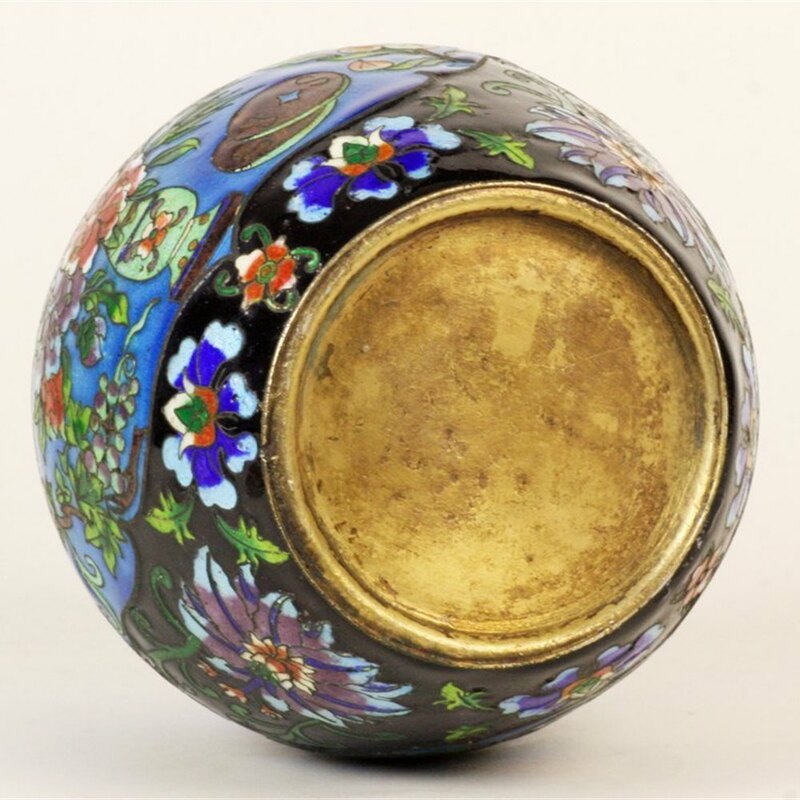 Each has a fitted hollow domed lid with a cut out design to the top and again set with coloured enamels.